The asthmatic child will have the same symptoms as an adult. It is a disease off the respiratory system that causes a swelling of the airways and makes it difficult to breath. 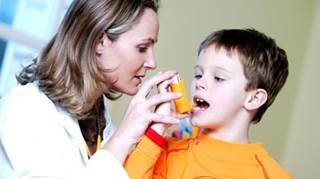 For treatment of asthma in kids it is generally known as Pediatric Asthma. And the symptoms related to the disease can include difficulty in breathing, rapid breathing, shortness of breath, tightness in the chest and coughing. If a cough is persistent in a child it can be a sign of asthma even if there are no other symptoms. There are some symptoms that can be regarded as emergency level. These will include things like bluish color, rapid pulse, sweating, decreased level of alertness, difficulty breathing and severe anxiety. With such conditions the parent would be recommended to contact the doctor for any immediate treatment. This is even more critical if the child has not shown any signs of asthma in the past. For there are many reason that a child might suddenly develop the disease. So one can’t discount the symptoms when there is no history of the condition with the child. Thus the parent should always treat them as something that needs to be checked out. For the parent of a child with asthma they will need to work with the pediatrician and allergist to come up with a realistic treatment plan for the child. 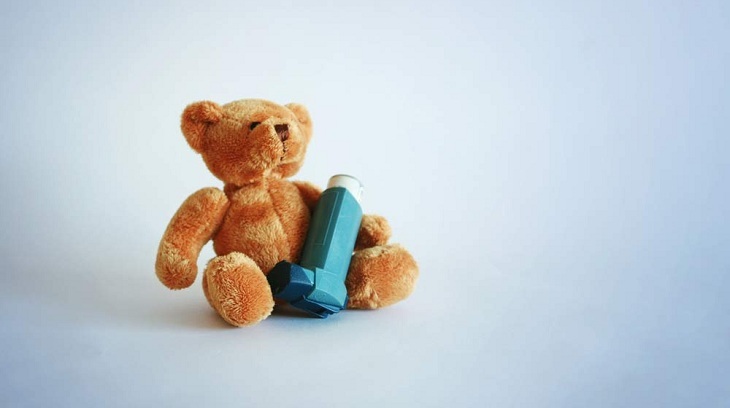 This will include recognizing the possible asthma “triggers.” These can include things such as animal hair or dander, aspirin or other medications, changes in the weather, chemicals in the air, dust, exercise, mold, pollen, strong emotions, tobacco smoke or viral infections. During the last few years there has been a dramatic increase in the incidents of asthma in children. It is thought that issues such as environmental changes due to air pollution may be the cause of this increase. And one needs to be aware that indoor conditions are as much of potential for problem as the outdoors. So one needs to be sure that they are aware of all such triggers and how they may contribute to the asthma condition. In addition, there needs to be a monitoring system for watching the symptoms. This should cover any known symptoms that have been observed in the past. And to not ignore them should they appear. Also the plan should involve whatever medications that are prescribed by the doctor that need to be sure the child takes as required. Plus there should be a plan for any emergency conditions. This should include the child’s teachers, gym instructors or coaches. Plus parent will need to be sure any medications are taken to school as needed. And to do this might require the need to sign a consent form so the school can deal with any emergencies that might arise. The doctor will need to be consulted regarding the types of medications that will be used. They will vary according the child’s needs. Some will be long-term medications that are intended to help with the condition on a regular basis. These medications are the same types that are prescribed for adults. And there are the ones that are used for quick relief that is needed during an asthma attack. It will be important for a parent to understand them and be able to be sure that the child also knows the difference. With asthma there are conditions that can occur to affect the child’s welfare. This can include things such as missed school, emergency room visits, persistent cough, lack of sleep, parents having to miss work, trouble breathing, permanent changes in lung function and in extreme cases it can even be fatal. So the parent will want to be sure that the doctor is informed and consulted with anything that is noticed. With the right help from the health care provider the child should be able to deal with asthma in a way that positive and beneficial.